With a similar genetic background to Royal Queen's Easy Bud but crossed with Skunk to create a new autoflowering feminized variety. This bonsai-like autoflowering variety is called Royal Dwarf. Royal Dwarf is a very compact plant. This compact structure, along with its tight buds, make it ideal for growing indoors or outdoors in reduced spaces. It is a mix of some of the best autoflowering strains crossed with an exceptional skunk female, which was then crossed back to the autoflowering parent to retain its amazing autoflowering ability. 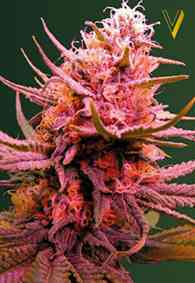 The skunk has given it a different flavour and slightly larger yield than other autoflowering varieties. This compact plant can produce up to 80 g a plant. Like most Skunk hybrids, Royal Dwarf has a very strong aroma and hard resin-covered buds. 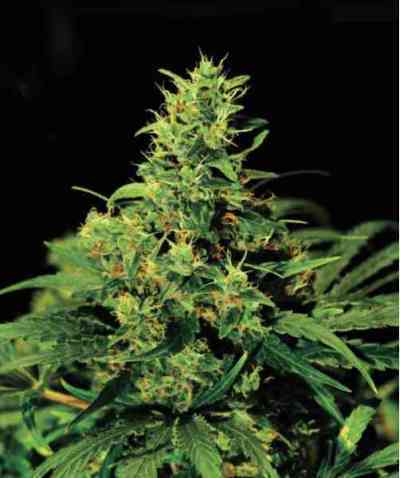 Small and mighty, Royal Dwarf grows quickly, reaching an average height of 40 to 70 cm. Ready for harvest in just 8 to 9 weeks. The effect is much like a good old Skunk variety. It gives a mild social high and relaxing body stone. 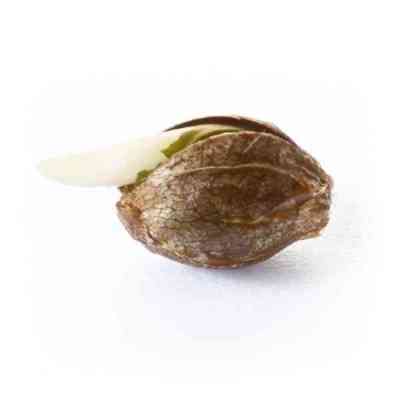 Small and easy to grow, this plant is great for any grower wanting to try out a different autoflowering variety.